Being one of the largest brands, Chicco naturally is one of the oldest ones as well. It dates back to the 1950-s. Unlike most of the brands presented here up until now, Chicco is largely a European brand rather than American, and their HQ is in Italy. That said, it does belong to a global group, namely, the Artsana Group, and, as such, it has some presence in America. In fact, Chicco facilities now exist in every continent except Antarctica. Child car seats are not the only things they produce. Their product assortment also includes other baby products and such medical products as syringes, thermometers, and hypodermic needles. Medical products typically require very high-end facilities to manufacture them. That says a lot about Chicco’s capabilities. 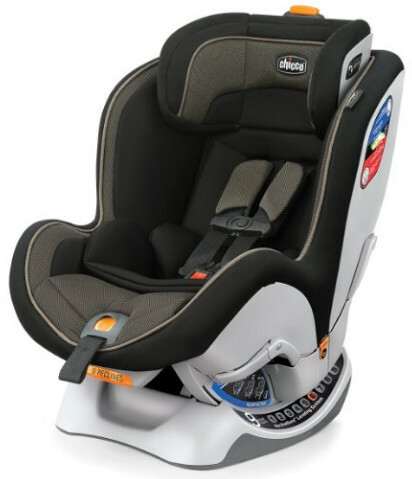 Chicco is one of the brands that regularly come up with innovative car seat designs. That is not surprising by any means, it may not make the brand stand out even but it certainly lets it be a recognized brand. Their products also provide a high level of comfort. Sometimes, all companies and firms do is some research, adherence to the federal safety standards, and crash-testing. That works, of course, but such an approach may seem somewhat detached and indifferent, too mechanical for many parents’ liking. It might seem petty and irrational from a certain point of view but it cannot be denied that some people do have such an attitude. The Happiness Laboratory, which is one of Chicco’s facilities, has a goal, and that goal is to understand babies batter to make them happier. This car seat is a perfect exemplar of a convertible seat. It has weight limits standard for this type of car seats: from 5 to 40 lbs in rear-facing mode, from 22 to 65 lbs in forward facing mode, but those limits are not the only thing that makes this seat as perfect as it is. Granted, there are better seats than this one but if what you are looking for is practicality and safety rather than extravagance, the NextFit is the seat for you. Besides, the seat is rather stylish, although most of the car seats of today are like that regardless of the brand. It comes with multi-position headrest, chest clip, and recline system, which makes the NextFit not only safer but also more comfortable for little passengers. An infant insert will make the seat suitable and safer for smaller babies. With the Super Cinch LATCH Tightener, the seat will be secured even better than usual, however, it might be somewhat harder actually install it. The thermal-insulated cup holders may not be crucial to the safety of the child, but they surely are important for their comfort and convenience. The NextFit costs well above average but the safety is definitely worth it. Unlike most other brands, Chicco can be somewhat inconsistent when it comes to what features of the car seat are most developed. Not that it is a bad thing. The most peculiar feature of the KeyFit is the level of comfort it provides to the child. Of course, comfort is something to be expected of a car seat for children but with this seat, the comfort level is above what a standard safety car seat can offer. The KeyFit is extremely cozy thanks to the luxury upholstery fabrics. It is not a convertible seat and is only intended for infants. The weight limits are not as impressive as in some other seats. Nevertheless, the KeyFit is suitable for children from 4 pounds of weight, which makes it a perfect fit for those underweight children that are not medically fragile. The seat comes with an infant insert and a reversible mesh for breathability. Despite the fact that the car seat is made for comfort and luxury, the KeyFit’s price is close to average. It also meets all the safety standards. A pure booster car seat. Built with only a single purpose in mind, the KidFit is a good example of what a booster seat should be like. The seat comes with advanced DuoZone side impact protection. Just as the name implies, it is designed for the protection of two zones, the head zone, and the shoulder zone to be precise. 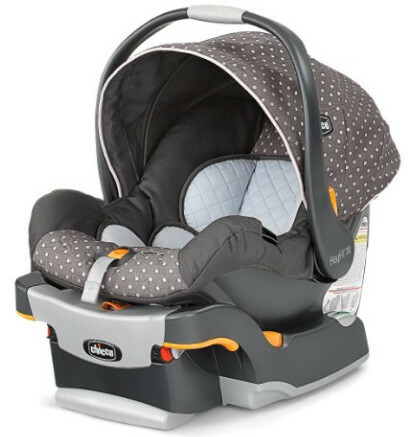 Much like the other car seats from Chicco, this seat is easily adjustable. In fact, it has 10 DuoZone positions to accommodate the seat to the needs of any child smoothly. 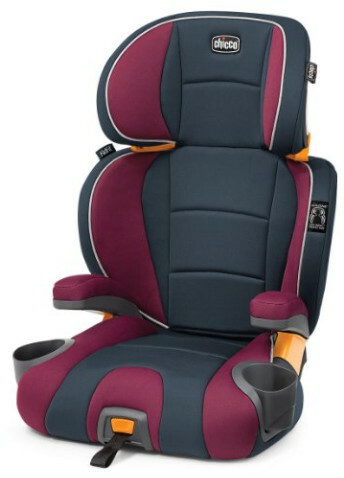 The seat is equipped with a reclining removable back for even better comfort for the child. It also comes with a foldable cup holder. And this seat is very cheap, which is very important. It provides adequate protection and is very easy to clean. 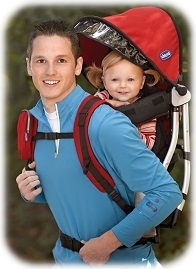 In short, it is a good purchase that might save you some money without endangering your child.